You know I am always wanting to help make things easier for ya, right? I have another free printable worksheet that is going to help you take the info you learn today and turn it into action. This worksheet will help you to act on the motivation you find today. Grab your FREE PRINTABLE by signing up below for my free email newsletter and then get to work! 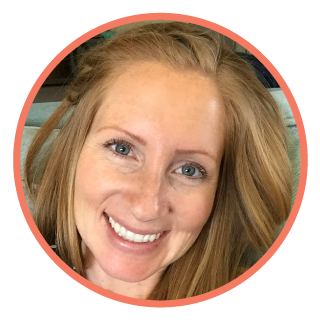 After we chat about your family finances for a sec, I’ll show you how to use the worksheet! 1. You have a bad attitude about money. Listen up Pearl! If you’re feeling hopeless about your money and your life right now, you will continue to bring about scenarios in your life to perpetuate that mindset. The definition of insanity is doing the same things over and over again expecting different results. It’s time to change that! Starting with, actually creating a budget! I can’t tell you how many Pearls write to me, thinking their situation somehow means that they aren’t ready to set a budget yet. Maybe their income is low etc. but your money mentality is THE FIRST step you need to take to get on the right track financially. Stop thinking of the word “budget” as a bad word! Throw out all fears about your finances because you are going to make a plan to conquer them! Stop using the words “I can’t because…” and replace them with the words “I’m choosing not to because…” See how that impacts your decisions. As I am sure you are aware, there are so many other money attitudes that you might need to address. In my online course 30 Day Family Finance Rescue I go into deep detail on how to diagnose your money attitudes and how to flip it upside down and turn it into a positive attitude towards your finances. This simple step is what is missing from your budget! Start here! Start with your bad attitude about money. Are you an overspender? Procrastinator? Bad at time management? These bad habits could be getting in the way of you sticking to or even creating your budget in the first place. There are several bad habits like time management that initially you might not think are related to your finances. But they totally are! In 30 Day Family Finance Rescue I help you diagnose those hidden habits! Becoming aware of, and demolishing these bad habits will set you on the path to create a smooth Financial Rescue Plan. What if you have more than one bad habit? We all do, so don’t you worry about that. The key is to take it one bad habit at a time. What is a positive habit that can take its place? Decide which bad habit you are going to work on. Which positive habit are you going to implement? Then write out 3-5 steps to developing this new positive replacement habit. Doing these steps will create an action plan to eliminating your bad money habits that keep derailing your budget. Did you start your budget with the numbers? When you focus solely on the numbers you will begin to lose motivation to stick to the plan! Why? Because when you first get started, the numbers are boring and stressful. Who wants to keep going when all you feel is anxiety every time you sit down to figure out your finances? No one, that’s who! Start with the goals we laid out together for 2019. A goal based budget will be much easier to stick to than a numbers based budget. It will also help you get out of your own way and focus on the positive things that will be a result of budgeting. What’s a goal based budget? 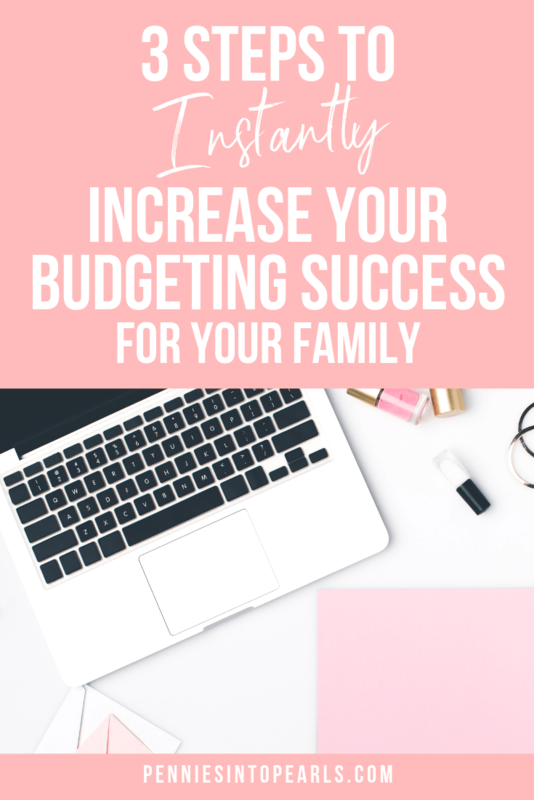 In 30 Day Family Finance Rescue you learn how to make sure that every item in your family’s budget is getting your closer to reaching your prioritized goals that are based on what your family values most! It’s SO easy for us to fall into these traps when our head is not in the right space. And trust me Pearl, I get it. We were there not too long ago, feeling like everything was collapsing, living on one income in a very expensive city. But the biggest thing that helped was getting hubby and myself get into a positive headspace around money. I want to help YOU do the same. Enrollment for my 30 Day Family Financial Rescue course are opening again soon. You can sign up her for the waitlist. We only accept new Pearl students a few times a year and I don’t want you to miss this opportunity to rescue your family finances and once and for all stop living that paycheck to paycheck life! Where are you going to start? We just went over three things that you can start addressing and working on right now! Have you printed your worksheet yet? It’s going to make taking action a lot easier and organized. The brainstorm section is where you are going to write down any bad attitudes and bad habits that you can think of that you need to eliminate. The ones that keep throwing you off track with your budget. Then choose just one each. One bad attitude and one bad habit that you would like to work on. Which ones will have the greatest positive impact once removed from your life? In FFR I walk with you in deeper detail through this process. Once you choose, write down the replacement positive attitude and positive habit in corresponding sections, but don’t stop there! I want you to write 2-3 action steps for the chosen new positive replacements. What 2-3 things you can start doing on a regular basis to make this your new second nature. To help you implement daily without even thinking about it. Here is an example for ya. Let’s say you want to break the negative attitude of fear. You are too afraid to look at your financial numbers because you worry what you might see. Your positive attitude replacement might be confidence. 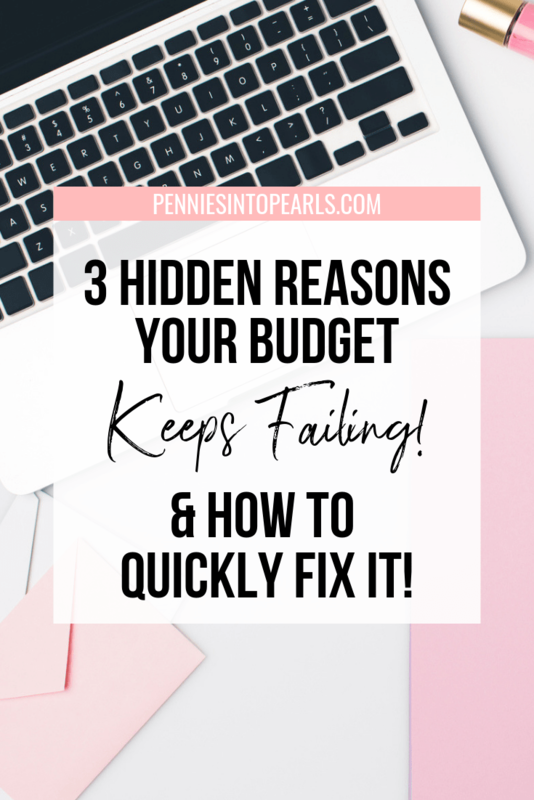 From here on out, when it comes time to have a budget date you will be confident that you are going in the right direction. Even though you are still in the thick of it, you can find comfort in know that you are making changes that will get you to your goals! One action step would be to start. Start tracking and categorizing your spending. Yes, that’s scary and in the past, paralyzing. But you can be confident that because you are being courageous and taking this challenging first step, you can fix anything needed! See how that works? Take action. Go start filling out your worksheet right now! Get those wheels turning and carrying you towards your goals!